The Inspire 1 Backpack converts your clunky hard case into a portable, comfortable and nimble adventure companion. Simply put your hard shell case into the pack and you're off and running. The waterproof ballistic nylon makes it perfect for any adventure. Outer webbing and exterior pockets provide plenty of storage for anything you might need on your droning adventures. 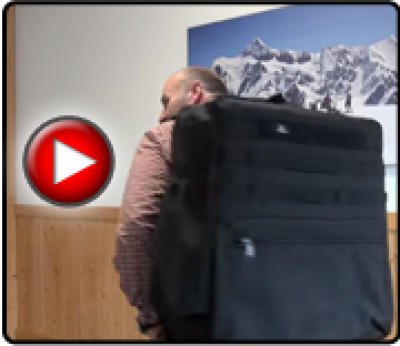 "over the past month" Genaro on 03/18/2015 12:38 Review: I have taken this bag everywhere, it really is the best solution to carry the Inspire 1. The straps are infinitly adjustable which is great, the inspire pretty heavy and this bag makes it comfortable. The zipper pocket is perfect for a sunshade and the side mesh is huge, great for food and water. I highly recomend this bag it is made with extra heavy duty stitching and it will last.